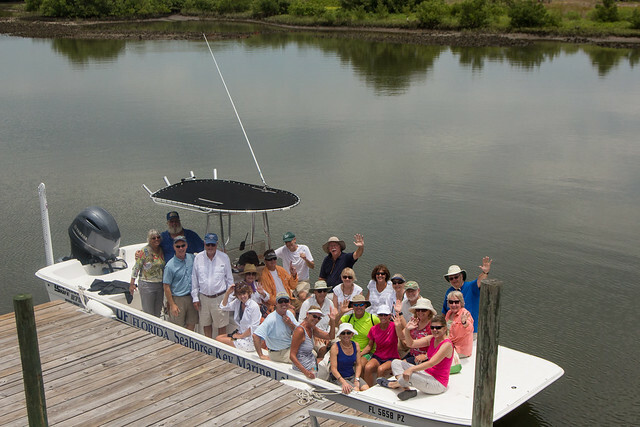 Join us in idyllic Cedar Key for the revival of the Sunrise Rotary Cedar Key weekend. Our tentative schedule is to meet at the Nature Coast Biological Station at 10 am Saturday morning for a tour of the laboratory and a briefing on the research and outreach activities by Dr. Charles Martin, Estuarine Ecologist. Following this we would re-group at a nearby restaurant for lunch, to be followed by a presentation on early natives in the area followed by remarks about the hurricane of 1896 and its impact on subsequent land use from noted archaeologist Dr. Ken Sassaman. After that presentation, we'll get in some kayak time and then convene at a member's home in Cedar Key for a fish fry. On Friday evening, Wayne Smith and his wife Mitzi will host a reception for early arrivers at the condominium we arrange.